This isn't a topic I necessarily enjoy talking about. In my mind, it displays weakness and despair, but it needs to be discussed. We all have them; especially in recovery. For the past two days I have been tempted with exhausting urges to engage in disordered behaviors. Last night I had my temporary escape from my anxieties all planned out, but somehow found the strength within myself to fight off that temptation. The weird thing is, I wasn't even all that proud of myself for fighting off temptation. The fact that I was tempted at all to engage in a behavior that nearly ruined my life was enough to make those self-critical thoughts get the best of me. In the past, I have done whatever I could to numb out those uncomfortable feelings. Now that I am in recovery, however, I am expected to sit with those anxious, depressive, and harsh self-beliefs. I'm not sure if exhausting is the right word to describe this process. It is grueling, strenuous, and draining to fight against the urge to act on behaviors that will get rid of those feelings, even if it is transient. As a result of my efforts to fight off these urges, I went to bed around nine o'clock last night, only to wake up feeling even more fatigued this morning. Somehow I managed to make it through a day full of classes with a racing mind and an incessant need to numb out. Those of you who have struggled with an eating disorder can understand how difficult it is to eat during these times of stress, which of course, only makes things worse. I returned home feeling ravenous, irritable, and longing for a nap in addition to my growing craving to act on these urges. Talk about exhausting. As one of my friends put it, sometimes fighting off urges is a full time job in itself. The crazy thing about urges is, I know better. Acting on certain behaviors completely destroyed my life in years past, so why in the world would I even think about engaging in those behaviors? If I am being honest here, fighting off these urges in a million, billion times more difficult than actually giving into them. So what is really bothering me? What is making me crave this escape from my everyday life? A close friend of mine suggested I make a list of everything that is bothering me in this moment and to my surprise, that list is huge. There are several things I can control and need to take action on; however, there are also several things out of my control right now. Those things that are out of my control at this moment are pretty tough to cope with, but thankfully, I know acting on urges isn't the answer either. I had plans to indulge in these behaviors again tonight, but luckily, writing and this blog (along with two very supportive friends) are saving me. Reaching out has always been difficult for me. Who wants to admit they are struggling? And even if my friends tell me how much better I am than this stupid disease, who says I have to listen to them? When I want to numb out, I want to numb out. Period. However, by taking the time to notice these urges before I took action, I was able to talk myself out of engaging in destructive behaviors - even if that meant I drove myself a little crazy today. 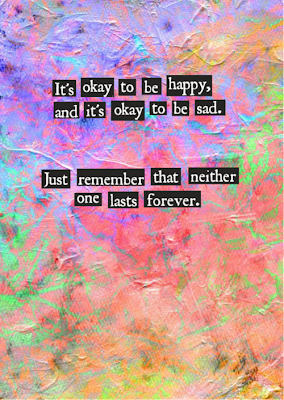 Yeah, easier said than done though, because more often than not I would rather avoid whatever is bothering me. I struggle the most with urges to restrict because I need to be ACTIVE in order to not engage in that behavior. My other urges, like stepping on a scale for example or going for a run, I can wait out by making myself sit still. If I just don't move, and force myself to wait it out, then I'll have fought through the urge rather than giving in (although as you say, not engaging in those behaviors can still be grueling, strenuous, and draining). With restricting I feel like it's different... in order to NOT restrict I need to DO something. Whereas when my urges are strong there are an INFINITE number of (completely ridiculous and pathetic) excuses to not eat just yet. "Let me just do this one other thing, and then I'll go eat lunch..."
Fighting off urges can be exhausting and feel like a part time job. It would definitely be easier to give in, but giving in even just one time will make them come back full force and be even harder to fight off the next time. My first year out I used to play that game "oh I'll just do it this one time." and then once a month became once a week became 3 times a week until I knew I needed to get back to therapy and get back on the wagon. You should feel proud of yourself every time you fight it, and know that every day that passes that you don't give in means you are one step closer to them fading away. I agree this is a critical point. I knew it would be all day today. I just hate feeling the way I felt today, ya know? 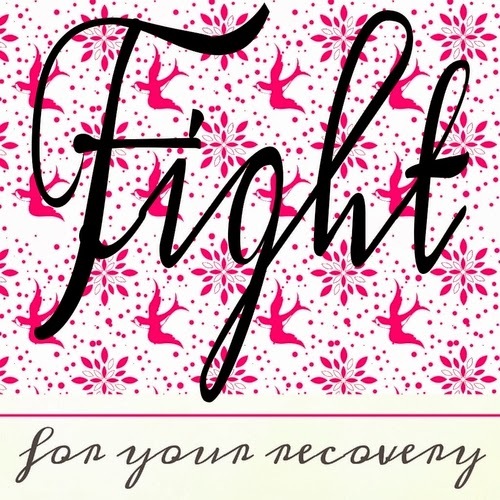 I agree that each time I fight it is a day closer to full recovery. 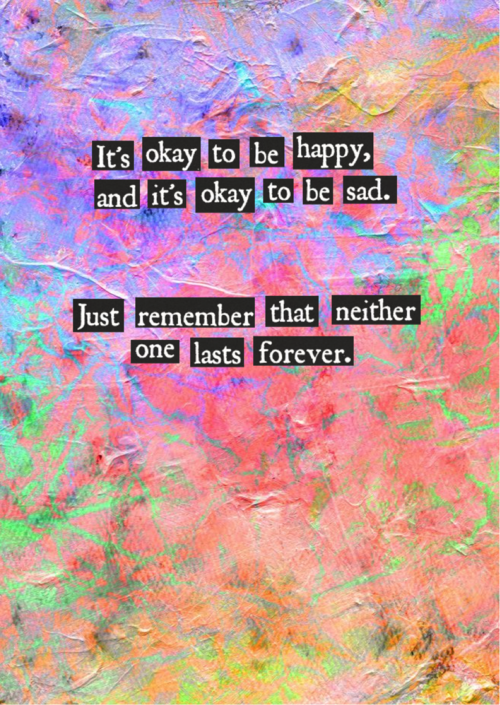 It's not easy; sometimes those feelings actually get worse before they get better. Thanks for the encouragement. It is always appreciated! Exhausting is the perfect word for it. And fighting those urges really can be a full time job (that must be added to the daily business of our lives). It can feel so very defeating and I am glad to hear how you struggled through and did not give in. I see so many points you should be proud of... admitting you are struggling, talking to a friend, writing here on your blog, making the list, continuing to get get on with your day despite being fatigued - you are walking the walk, as they say. 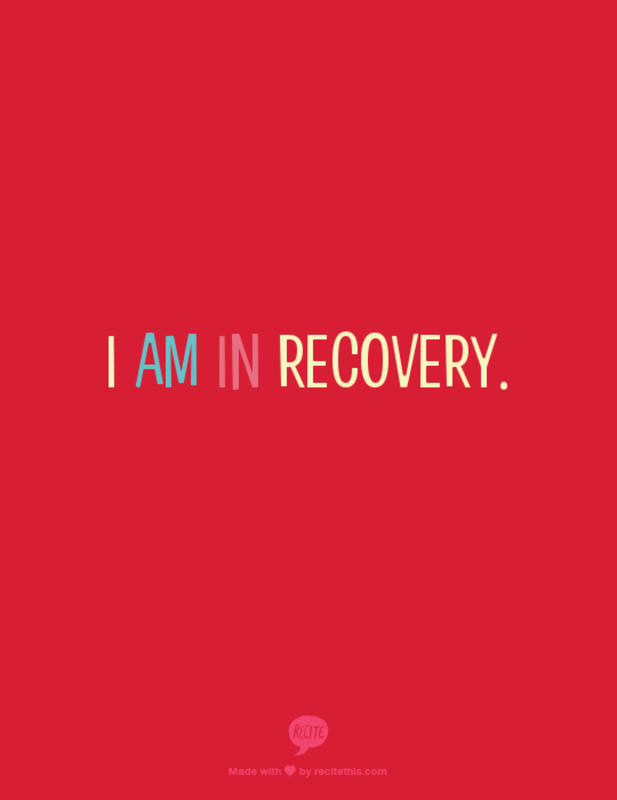 This roller coaster of recovery can make us believe it's not worth it, and yet our healthy side knows IT IS WORTH IT. B/c we deserve more than a life ruled by urges and anxiety. I say all this as much for me as for you. Keep hanging in there and write often - it's good for you and for those of us reading too! i think the worst part about that is that when i give into an urge once it will happen again and again because i already broke the "promise" to myself to never do it again. but as you said its part of recovery and saying slip ups are normal adresses the ED to say "yey its okay to slip up lets do a behaviour", but on the other hand you shouldnt be so hard on yourself, having urges is not your fault it means that you are so determined to recover that the voices gets angrier and louder the stronger you get because the ED want to protect itself. thats at least how i see it. When the voices show up again it means the healthy mind is about to win and that scares the disorder. 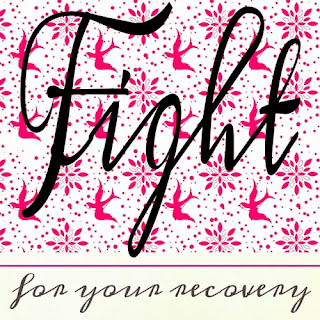 What really helped me with urges is loking up very positive recovery blogs (as yours) because when i am in a recovery mindset it doesn´t make sense to me engaging into behaviours. maybe you will find a healthier way to cope. When i am angry which often makes me really tempted to do behaviours its kind of a normal reaction for me , i´ll punch a punchbag which i bought recently because i think its a great way to turn negative into positive (as long as it doesnt end up in obsessive exercising). 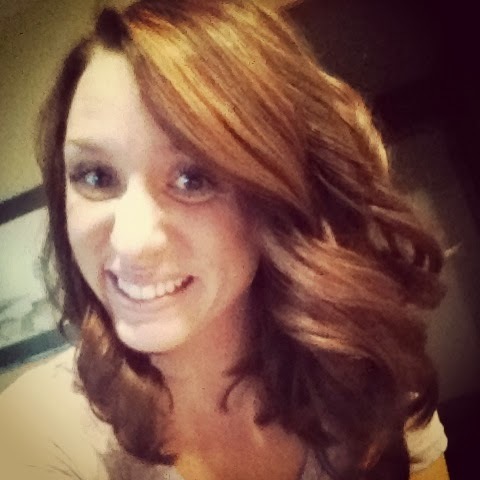 You're in my thoughts and prayers, Kelsi. You are so brave. So very, very brave. It is okay to be open and ask for help. Always. By doing so you let your desire to live guide your decisions, not the eating disorder. We're all told that urges pass and while that is true, it doesn't change the fact that urges can be incredibly overwhelming. So can life. At times I can't do anything else but lying flat on the floor because I am too overwhelmed by everything and nothing. This is not because I am weak. It's because I, like you, are in the process of learning to live. We've opened up to life and growth. Warriors? YES! The reason why I am telling you this is to reassure you that you are not alone. These struggles are nothing to be ashamed of. We are trying and striving, and it takes time to both make changes and to consolidate new and healthier ways of being in the world. We need to create healthier (and more compassionate! ;-) ) patterns up there in our minds. When the urges come, try to not beat yourself up about it. Observe them with gentleness. They signalise that something within you is in need of love and attention. Maybe you're stressed about school. Maybe you fear to not measure up, to not be 'good enough' ( which you are <3 ). Or maybe you are overwhelmed by everything and longs for a sense of safety. Recovery is like exploring this unknown territory of freedom and feelings and whoknowswhat! It's not immediately considered a safe and comfortable place after years of the 'safe' darkness. Be gentle with yourself. You are beautiful, brave and worthy. Sending love - you are so very dear to me. Oh, and our mantra : ED, you are not the solution. You do not help me heal, you only intensify the pain. I am powerful and I will learn to live in freedom. Loved this post. I could relate to so much of what you said. It is definitely worth it to fight urges despite how much time and energy it consumes of us because otherwise it could cost us more in the long run. And how amazing is self-care, writing, and support in helping us through these difficult times! I can relate to how helpful writing a blog can be. The helpfulness of writing my feelings, struggles, and triumphs is immeasurable! Thanks Kristin! I think writing, even if it's just a private journal, is always a great way to help us sort out those feelings. Especially if it helps us get through these moments of weakness. Kelsi, I am so glad you wrote this, but of course I'm sorry that the struggle has been so exhausting. I pray for you to get real rest--body and mind! I'm glad you have good friends to lean on, and that you are reaching out. I have a horrible time asking for and receiving help in almost every situation! I think your friend who suggested making the list of things that are bothering you was wise--trying to identify what might be spurring on those urges. I still get unhealthy urges or thoughts at seemingly random times, but when I take the time to examine things more closely, there's usually an underlying stressor (or two, or more) that brought those ideas to the surface. Take heart that many people are rooting for you and wanting to encourage you. I am going to end this and go pray for you right now! I've just found your blog, and am completely inspired by the things you write! I am in a place in my life where I am having to cope with change and uncertainty at the same time as continuing in recovery. In the past I would have used times like this as an excuse to engage in behaviours (or maybe not an excuse, but whatever the reason, I didn't cope well). Now I am making recovery non-negotiable - sitting with the feelings has to happen if I want to get past this. You are right that it is nothing to be ashamed of - you are doing so well to have awareness of where you're at, to take a step back to examine what is happening and to commit to using a healthy coping strategy. I am sure your friends love to be there for you, so let them :) Keep going.